Philippines closes this year with 5.8% growth in GDP, compared to the same period last 2014. Was this also reflected in the in-home FMCG spending? Comparing performance versus last year, FCMG spending is growing both in annual and quarter reads which is reflected across regions, SECs and channels. The growth is driven by increased consumption as HHs are purchasing FMCG products in bigger baskets in every shopping trip. All mega-categories also contribute to the growth. 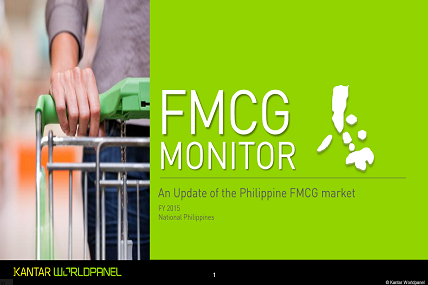 For the retailers, SM gets the top spot in terms of FMCG purchases. What specific categories are driving the growth of the regions? Do we see new potential categories for the lower SECs? How does SM gain the top spot?